Though we are more than a crossfit gym, we do offer cross training. Our classes provide structured instruction combining HIIT workouts, with movements typically found in Olympic weightlifting, gymnastics, and power lifting. CrossFit is constantly varied functional movements performed at high intensity. The core of CrossFit training is derived on functional movements, and reflect the best aspects of gymnastics, weightlifting, running, rowing and more. These movements embody the core movements of life. For example, the deadlift (think of picking things off the floor); the push-press (think of putting things up on a shelf); and the air squat (it is such a natural movement, babies have the best form). 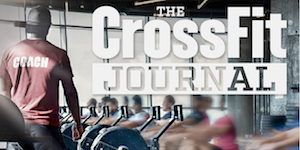 CrossFit allows individuals to move the largest loads the longest distances and are ideal for maximizing the amount of work done in the shortest time. Another major component of CrossFit training is its intensity. Intensity is essential for results and is measurable as power. The more work you do in less time, or the higher the power output, the more intense the effort. By employing constantly varied training, functional movements and intensity CrossFit leads to dramatic gains in fitness. CrossFit YP1 Welcomes All Skill Levels, Fill Out The Form To Get Your First Class On The House! Story Behind Yankee Papa Wun: Our founder spent his formative years in the US Army (and worlds) most elite special operations unit. Hired to be a team member after three combat deployments and more than two years in combat, he quickly went from team member to team leader through a tragic incident. His boss was paralyzed in an IED (Improvised Explosive Device) attack that left 9 of America's finest warriors either killed or seriously wounded. He went on to take on the call sign and leadership role that YP1 represents and serve four additional combat deployments in US Army Special Operations Command. It was through his experiences while being known to his teammates and the enemy as YP1 that inspired the vision and mission of 5th Element Combat Fitness. WOD (workout of the day). Each CrossFit YP1 class can be scaled to the individual athlete’s level of experience. Our certified coaches will help guide each athlete with the daily movements to ensure a challenging, but safe workout. Our main goal at CrossFit YP1 is to build each of our athlete’s strength, speed, stamina, power, and resiliency. Don’t be intimidated! For the beginners, we offer introductory classes we refer to as “Basic Training” which introduces the athlete to the basic concepts and movements they would encounter throughout each daily workout preparing the athlete to attend our regularly scheduled classes.